The first “Wine on Wednesdays” extended hours in the tasting and sales room. We offered a complimentary glass of wine and a 20% on any wine bought to take home during our “barking mad” hour. An all day public event was followed by an invitation only evening party. The Den Pinotage Rosé is a winner in the inaugural Pinotage Rosé Competition held by the Pinotage association. This makes Painted Wolf Wines the first wine producer to win all three competitions run by the association. Celebrated by going in search of Wild dogs at Madikwe with Jaci’s Lodge. The Painted Wolf pack spotted all of the big 5, but the biggest treat was seeing wild dogs trotting through the bush on the last night. In one evening about R45 000 was raised for the EWT’s Canine Distemper vaccination programme for wild dogs. The funds were raised through ticket sales, direct donations and an auction of wine as well as items donated by the EWT and label designer, Lori Bentley. Co-sponsors: Chaplins Grill and Chalmar Beef. Jeremy receives The Cheetah Award from the EWT. It is awarded to individuals who have gone beyond the call of duty and extended themselves over a prolonged period of time in support of achieving the Mission of the EWT, which is to conserve threatened species and ecosystems throughout the region to the benefit of all. Jeremy set out to cycle over 800 miles through the UK, stopping for wine, food and art infused events along the way. He auctioned off artworks and rattled the collecting tin in aid of The Tusk Trust’s 25th anniversary. One of the events was the Tusk Gala dinner at Windsor Castle attended by the HRH Prince William, the Duke of Cambridge and these two famous people. 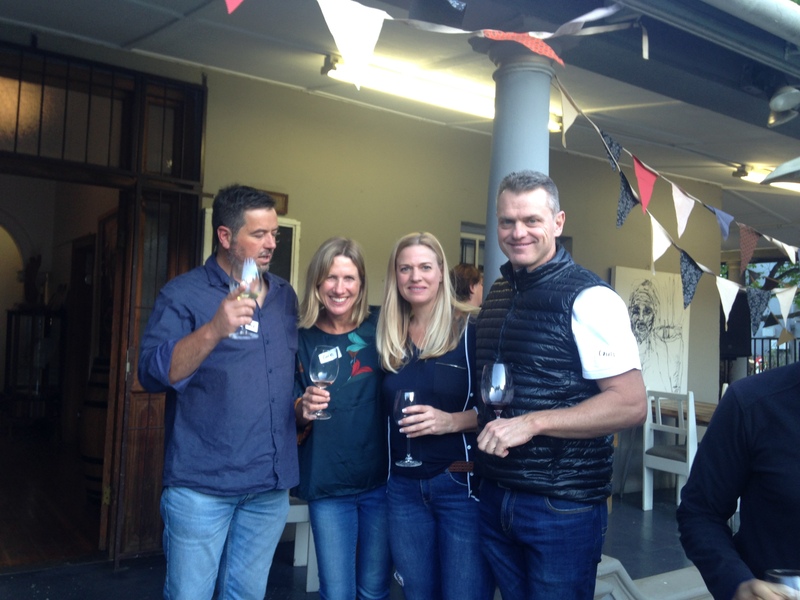 Painted Wolf Wines was very lucky the day Carmen Botha agreed to join the pack and work as administrative coordinator. She holds everything together and keeps the pack on track. Emma attended Foodex, Japan. With the help of her school friend Kozue, she presented Painted Wolf Wines and found a Japanese distributor: Homboshoten. This is the start of the company’s Asian pawprint. Peloton Rouge 2009 wins ABSA Perold Top 5 Cape blends. The second Pinotage Association Award to Painted Wolf. Guillermo Swartland Pinotage 2009 is awarded top 10 in the ABSA Perold Top 10 Pinotage Competition. Jeremy decides to combine his enthusiasm for cycling with his love of wild dogs and launches Pedals 4 Paws cycling adventures with routes through remaining wild dog territory. The first fundraising ride stretches from Madikwe to Tuli. Pictured: Jeremy and son, Oliver, at the Madikwe gates. Another noteworthy award: Black Pack 2009 Shiraz wins the BA/Comair Shiraz Trophy at the Old Mutual Trophy Wine Show. The Den Chenin blanc 2009 makes Oz Clarke’s 250 best wines list. In the same year, the den range label was redesigned. The result is a more relaxed and lighthearted design based on some lively ink drawings by Jenny Metelerkamp. Pictured: the original den label alongside the new label. Jeremy and Emma asked designer Lori Bentley to join the pack. She comes up with some completely off the wall concepts from time to time. Lekanyane Cape Hunting Blend 2009 is selected to be served on SAA flights to their business class customers. Painted Wolf Wines’ association with Leeuwenkuil Family Vineyards begins. After years of unofficially promoting our wines in Johannesburg, Amanda Irving, Jeremy’s sister, officially joins the pack as Gauteng coordinator and wandering wine ambassador. This is the first of many awards: a silver medal in the Swiss Air International Awards, for the 2007 Pinotage. 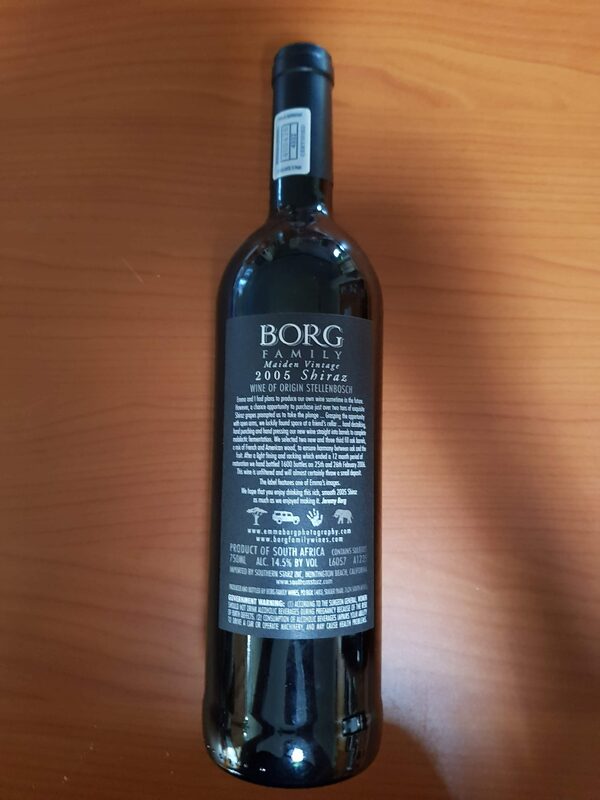 This wine went on to collect 90 points from the Wine Enthusiast as well. Carl became a company shareholder and built the first Painted Wolf Wines website. He has been a strong advocate for the direction the company has taken in the digital space and is the brains behind the current “wine, wanderings and wilddogs” focus. Jeremy and Emma visited Botswana and began donations to the BPCT (Botswana Predator Conservation Trust) from sales of Painted Wolf Wine. Pictured: Jenny Metelerkamp’s working drawings of wild dogs for the Painted Wolf Wines logo. Seven friends provide £13,000 seed capital. The search began for a suitable conservation project to align with the company. During the seven inspirational years, working with Charles Back at Fairview, Jeremy self-funded his post grad degree in wine business at Adelaide University. Emma pursued her photography and the family expanded. Jeremy and Emma get married under an acacia tree in Savuti. Shortly after, they moved to Paarl, South Africa. Upon leaving, they were determined to find a way to give back to the African bush in some meaningful way. In February 1994, Jeremy visited his family in South Africa. His sister, Amanda was working as a wildlife film maker and had met Emma at Lloyd’s Camp. She knew that the camp was looking for a cook and had volunteered his services. He was interviewed by Emma, who recommended him for the job. Pictured: Jeremy prepping a food spread in the boma while Emma looks on.